Twitter launched in 2006, and its popularity kept growing in all these years. It now has more than three hundred million monthly users. It is being accessed by eighty-two percent of its users via mobile devices. Twitter is the place where one can gain a large number of followers quickly. Setting up a Twitter profile is smooth, and Twitter marketing strategy implementation can benefit the businesses in many ways. 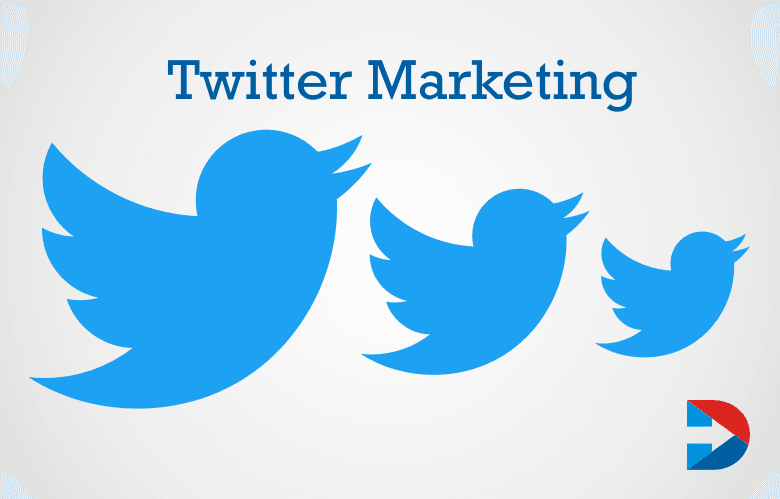 Twitter can help any business to generate more leads. It can assist in expanding brand awareness. Building community on Twitter is secure. With the right content, the companies can create a positive opinion among prospective customers. Before planning a Twitter content marketing strategy determine what you want from it. The objectives can be to generate leads and increase landing page visitors, building awareness, providing customer support or build thought leadership.Twitter also can be used to conversions, improve sales etc. Identify the target audience before planning a Twitter strategy. Searching for keywords, looking at has tags or using tools like HootSuite can help import the Twitter lists, follow the menus and build relationships. Plan your tweets by determining the best time for tweeting. Figure out what time most of your followers will be online. Spy on the competitors’ tweets. Monitor the accounts of your competitors in business and check what they are doing and find what is working for them. Know what people are saying about their business and how the companies are responding. Look at the content they are creating. Do not blindly follow what the competitors are doing but you can get an idea from their content and create more dynamic content. Understand the terms such as tweet, retweet, timeline, hashtags, follow, avatar, header photo, mention, etc. Short and straightforward tweets are great for sharing quick facts, updates or ask the audience questions. Adding photos to Tweets can help get more impression and engagement. 65% of United States Companies use Twitter for marketing purpose, and 23% people follow brands on Twitter. Integrate video into the business to efficiently deliver the right message to a right audience. The videos should be short, informative and entertaining. Tons of traffic could be diverted to the website or blog if Twitter used correctly. Quote the post in the tweets and give the content link. A large number of companies are now using Twitter to marketing their business. Read the expert tips mentioned below to develop an effective Twitter marketing strategy. Twitter is a great place for promoting the content. Make sure that the content you share on this tools is relevant to your business and is valuable for the customers. Content should address the issues of the target audience and offer solutions. A Large volume of tweets posted every minute, and so these appear in the feeds in one continuous stream. That means many followers may not be able to see the blog post. So tweets the same content number of times. Make little changes to the text or image and keep the message same while tweeting multiple times to get more attention. Be consistent. Have a unique identity for your Twitter account. Do not always try to sell your product or service, instead focus on becoming an excellent source of information for a target audience. Content marketing research by social listening is a great way to know what is happening in the industry and the trending topics to create content. Use link shorteners such as TinyURL or Bitly to make your tweets look professional and neater. Make your tweets more attractive and exciting by adding videos or images. It also attracts more customers and earns more engagement. Twitter has 319 million active users and 500 million people watch twitter every month without logging it. Twitter was also adding all formats or images that include JPG, PNG or GIF. Use a head photo which is of 1500 x 1500 pixels. Use the profile photo of 400 x 400-pixel size. The maximum file size that can upload to Twitter is 5 MB. Include a website link in the bio of the Twitter handle. Also, ensure that the bio is engaging. For higher engagement find the best time to post. Respond to the questions quickly. Schedule the tweets. Take the help of online tools to schedule them. Plan and promote the content multiple times. The pattern of native advertising that includes videos ads, banners, etc. is going to continue for the coming years. Native display advertising revenue is going to grow. It is going to the first ad format in the coming years. The trend of using periscope live streaming on Twitter is also like to become more popular on Twitter. Twitter even announced some Periscope features to use their software and camera for live streaming. Twitter is going to help the businesses to boost customer engagement and increase their number of audience. Social media networks are implementing new features for their apps to prevent users from the stop using their apps. In-app experience is also going to take the lead on Twitter. Listening to music in the timeline of Twitter is a new feature to that Twitter introduced to retain the audience. 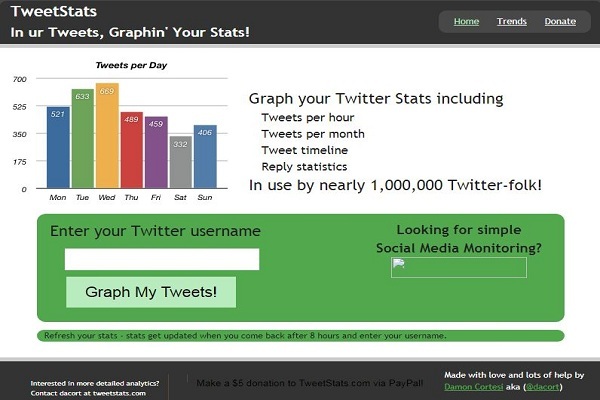 Here are some Twitter Tools that can help you to analyze all aspects of your twitter account. It discovers new users and topics, tracks and followers of Twitter lists, find and organize group chats and schedule tweets individually or in a group. Manage Flitter is an award-winning app and helps manage and clean up your Twitter accounts. SocialOomph is freemium service that used to allow you to schedule tweets, track keywords, extend your twitter profiles and much more final amount of accounts for free. Audiense delivers unique consumer insight & engagement, helping organizations grow by identifying, understanding & connecting with highly granular audiences. Tweriod analyses your Twitter followers, past Tweets and the people you follow and give you the best times to Tweet. The Best way to manage social media. Hootsuite will maintain multiple social networks, connect with customers, grow your brand social media. People who follow Twitter are 47% for visiting Brands, and they Visit their Web sites. 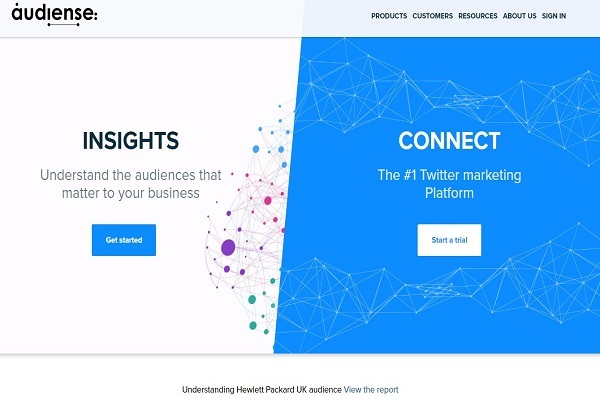 Tweepi can help to grow your Twitter Brand with the Power of an Artificial Intelligence. It establishes more valuable connections on Twitter. 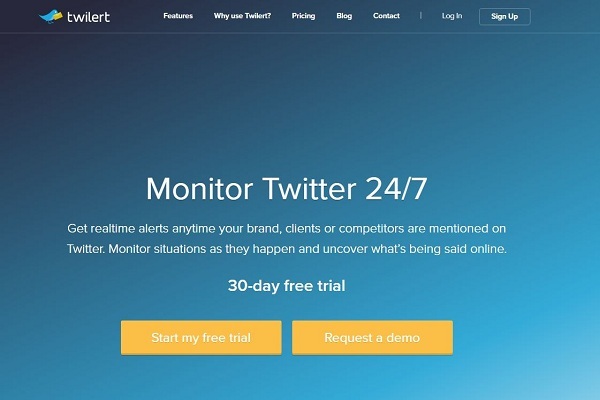 The Tweets of a Twitter monitoring tool that sends you regular email alerts when people tweet about you, your brand product or service. TweetChat allows users to participate in individual chatting sessions instead of public mentioning by the use of hashtags. Commun.It is the leading Twitter community manager tool. The easiest way to manage a shared Twitter account. Multiple contributors can now easily Tweet from one more Twitter accounts. One of the grate way to make most efficient buildings connections online was joining the Interest Groups. Twibes is a great place to start for Twitter users. Buffer lets you schedule your tweets to the best performing time of the day. TweetStatsk is a great free tool to keep track of your Tweets by an hour, month, Tweet timeline. TwitterStats also provides time-window filters for fine-grained analysis. TweetReach is a great tool for marketing and PR professionals. In this, you can see how far the messages traveled with TweetReach. TwtPoll is another excellent tool for gathering interactions in the form of feedback from your loyal followers. And also allows users to create social media surveys that could be posted directly to Facebook or Twitter. 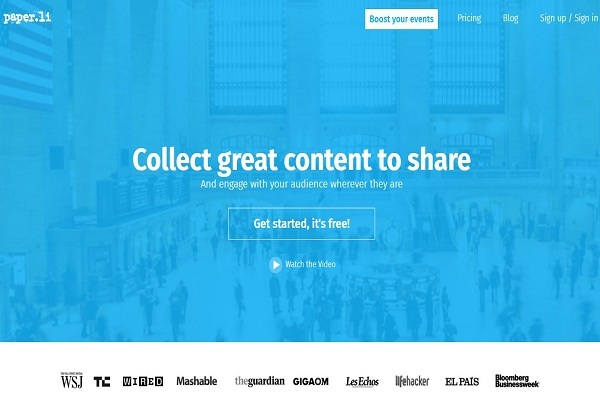 Triberr is a great community app that lets you tweet content of the members of your tribe. Getting re-tweets from influential people will get you the deserved attention and makes it an excellent tool for Twitter. This app which would make fun for those who write long Tweets. With Storm It, when we write long Tweets & it automatically shares them as the individual tweet. Paper.li single out hashtags and tweets with relative ease. Twibber is an Auto Tweet post via RSS feed with featured post image. You can also post a tweet with the hashtag(s) automatically added when you logged in using your Twitter account. TweerBinder is one of the best hashtag analytics tools for small and significant agencies. Twibs is a suite of utility classes to ease the development of internet applications with scale. Twiends is a very simple and easy to follow instructions for those looking to increase their Twitter Followers. 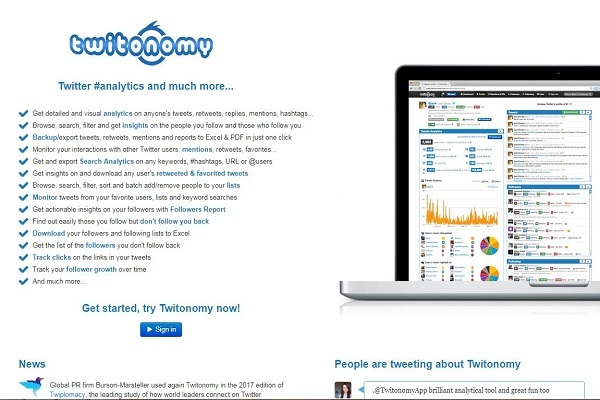 Twellow is the people who give us WebProNews have launched a search engine for Twitter members. My Top Tweet will show you a list of your top ten tweets regarding their retweets. SocialBro user segment Twitter followers by influence, activity, and geography. I enable to see the of types of posts their followers like to Tweet, and they follow. Riffle Raffle allows you to make our raffles and pick a random winner. It gets detailed and visual analytics on anyone’s tweets, retweets, replies, mentions, hashtags. SumAll releases new analytics tool to show social media ROI against financial performance. SocialRank App provides statistics on your Call and SMS usage graphically. You can view not only usage history in the grouping of daily, weekly or yearly but also your favorite or most used contact. Klear app is a game- A podcast puzzle game with full of excitement and enjoyment. Bearstrap makes easier for teams to cover live events on Twitter. A tweet chat is a live Twitter event, usually moderated and focused around a general topic. Twitter engagement raises 17% on weekends, 24% online Women and 24% Online Men Use Twitter. Nurph was a tiny boot-strapped startup working on a platform which turned Twitter into a real-time chat platform. Nuzzel offers personalized news discovery and curated newsletters for busy professionals. BuzzSumo used to analyze what content performs and best for any topic or competitor. And also find the key influencers to promote your content. Twipho is a twitter image search engine with a beautiful user interface. Crowdfire is a super smart- marketing sidekick that help you grow online every day. Rite tag notifies you when the hashtags merge for your topic. Twitter is an immersed powerful tool for organizations, here we discussed as above are useful to you in many ways and trying to make a difference in the world.